Let’s talk about my simple 13 step plan to increase website traffic free. I’m sharing this method with you to help you get traffic to your website for free using search engine optimization (SEO). Understanding and implementing SEO will not guarantee you instant website traffic, but it will give you stable free website traffic that will grow as time progresses. Grab Debbie Gartner's SEO ebooks: Easy On Page SEO (for beginners) and Easy Backlinks for SEO. Debbie earns 6 figures from her blog because of her high-quality SEO traffic of more than 300,000 pageviews per month. She teaches exactly how to get organic results so that you can do the same! If you are unsure what SEO really is, here is a simple definition that I like to share. SEO, or search engine optimization, is the process of researching and writing content that people are actually searching for. In other words – you need to use the terminology that people type into Google day and day and write content that not just regurgitates those search terms, but thoroughly answers them. Organic traffic is free website traffic that results when you consistently optimize your blogs posts using SEO. Though your time is not free, if you spend it wisely researching and optimizing your content for search engines, you can setup yourself up for success and increase website traffic free. And this is what we want to talk about today. How to SEO your existing blog posts in order to get traffic to your website for free. So take notes, do the steps along with me or bookmark this page because you’re going to see results a few weeks to months down the road if you use this method to optimize your existing blog posts or website content. Depending on your current methods and if you’re optimizing your posts upon publishing, this method could work within hours or it could take months. Because I publish posts already optimized as well as possible from the start, I can move them up in search results within hours (or minutes). The best scenario is when you move a post from page 2 of Google to page 1. That will bring nearly instant increased traffic to your website. Let’s get started with the easy steps. Visit your blog and skim through previous posts. Choose a post or web page that you’re proud of but feel like it’s not getting any traffic or attention. Choosing a valuable post to optimize that is not simply thin content is the first step to increase website traffic free. If you don’t have your Google Search Console setup yet, these steps will not increase traffic (free) to you blog. If you get your Search Console setup today then you will need to come back to this method in 2 to 4 weeks after some search data is populated. In search console, navigate to Search Traffic > Search Analytics. I love this section in Google Search Console. The default view will show you the number of organic clicks to your site in the last 28 days on a graph. The queries that led to your site are listed right below the graph. But this is not the information we are using for this method that drives real free traffic to your website. Instead of looking at the default information that I mentioned in Step 3, change your radio button to select Pages (instead of the default Queries). I also like to check the boxes next to Impressions, CTR and Position (Clicks is already selected) to get a full view of my analytics. Now find the post that you’ve already selected to optimize. Press ctrl + f on your keyword and paste in the tail end of the URL of the post you selected. If you have a lot of posts to search through, then continue to ctrl + f that URL through your list of posts and pages until you locate the post. When you find it, click on it. When you first select the post, nothing shows up. But don’t stop there! Change your radio button back to queries. You should now see a whole list of search terms that already bring website traffic to your post for free. If there is nothing listed, then the post was not optimized well enough in the first place and Google was unable to recognize it for any search phrases. To continue this method to SEO existing blog posts, you will need to select a different blog post to analyze. Once you find a post or page with keywords listed in this section, sort the results by position (lowest number means closest to the 1st page). Choose up to 5 search phrases that show a position between 6 and 40 (go beyond 40 if you don’t have enough!). Choose terms that have some kind of search volume. Without any volume, you will not be able to increase website traffic free using this method. I like to select the search phrases that are searched more than 390 times per month, but sometimes they don’t exist on a particular post. And that’s ok! Grab the lower volume ones, especially if it gives you a better chance to rank for them (versus no phrases at all). Note: if you cannot see the search volumes and CPC listed, then you will need to connect your Adwords and Google Search Console before continuing. Quickly skim the entire list of keywords to see if your original main keyword is on the list. If it’s not, then perhaps you should choose a keyword phrase that Google recognizes the post for. As you optimize your post with these new keywords, the goal is to add value to the post – not remove or replace existing keywords. It does work to go through and add keywords to existing paragraphs if they were not there to begin with, but not at the expensive of removing existing keywords. If your list of keywords do not fit naturally into the existing text, it’s always good to add an additional paragraph (or more) to your blog post to cover the keywords thoroughly. Consider changing the post title and meta title to something that is click worthy. Include your main keyword phrase in the titles as close to the left as possible. Always include a number in the title if it is fitting (think # steps, # ways, # reasons, earn $, etc.). People like to click on numbers and Google likes to show people what they want to see. Your keyword phrases need to be sprinkled in image titles and alt tags, naturally throughout the text, in h1, h2, h3 titles, and in the meta title and description. After updating these areas, save your changes (or even republish the post with a fresh date). Backlinks are still very important when optimizing your posts to increase website traffic free. Though you can’t control the number of backlinks you receive in the long run, you can give your content a boost using these strategies to get more backlinks. Often overlooked, the very first place you can get backlinks to your content is from your own website or blog. Visit related posts and hyperlink naturally back to this post you are optimizing. You have to submit your URL on Google’s new Search Console. 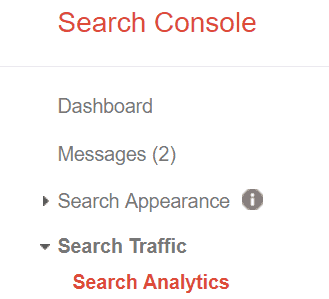 You can see the option to switch to the new Search Console at the top of your old Search Console. Once you’re in the new Search Console, simply paste the updated post’s URL in the top search bar of the new Search Console and select enter. Once the results load, there is a semi-discreet text link that says “REQUEST INDEXING”. Click that link and wait (it takes a bit to load). Avoid changing the same post over and over in a short period of time. After you walk through these steps on a single post, jot down your metrics to compare later. These metrics for a single post or page are found on your Queries view in Step 6. Record the date and the metrics as shown so that you can compare these numbers in 4 to 6 weeks. Wait at least 3 weeks before expecting results or making additional changes. The higher your DA and the better your overall SEO strategy to begin with, the less time you’ll need to wait to see results. These 13 steps are the exact strategy I use to get free traffic to my website quickly. There are times where I can bring posts from page 2 to page 1 within hours. I’ve done this many times. Just please don’t be alarmed or give up on SEO when it takes 2, 3 or 4 weeks to see results. If it’s not moving up after 6 weeks, then perhaps try adding better content with more natural variations of different keywords. Sometimes optimizing existing website content is a numbers and words game! Every phrase has a different level of competition and it’s impossible to peg your chances of ranking for it 100%. Make sure you’re not changing the content so often that you’re just keyword stuffing the post. Always add tons of value to the post if you need to add new keywords. Now start working on your SEO and optimizing your old blog posts! This is the number 1 method to increase website traffic free and gain steady organic traffic through Google. Found you from Pinterest and really liked the fact that you talk about using the new search console. Making use of this strategy should really help any blogger or small business owner.